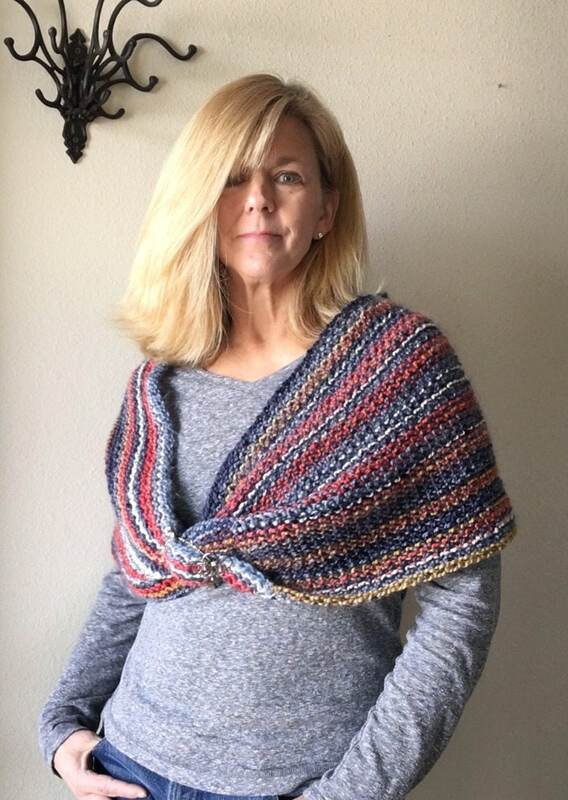 When you want just a little something to keep your shoulders warm but want your hands and arms free, this Cool Breezes Twist is the perfect wrap to throw on for a cute and kicky look. Pair it with jeans and a white top or shorts and a tank and you’ll be ready in a breeze. 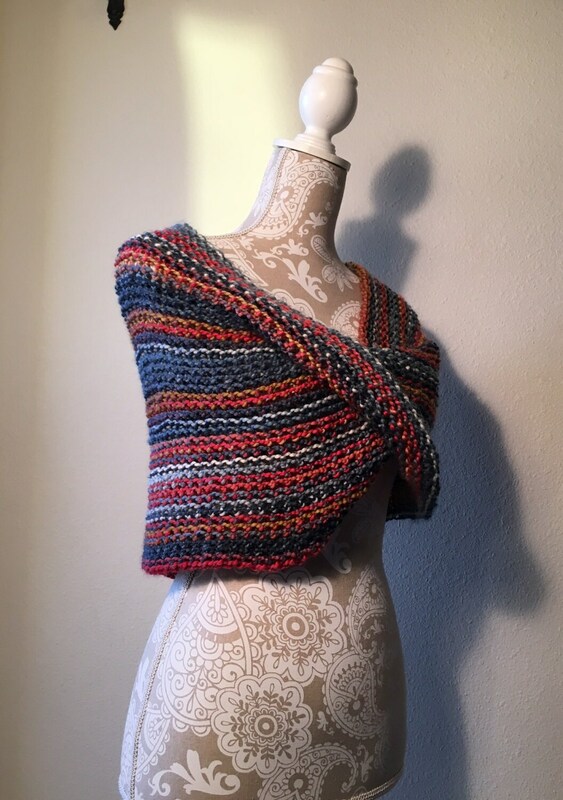 This wrap is super easy to knit, but makes you look like a seasoned knitter! The only stitches you need to know are the e-wrap knit, u-knit, and purl. 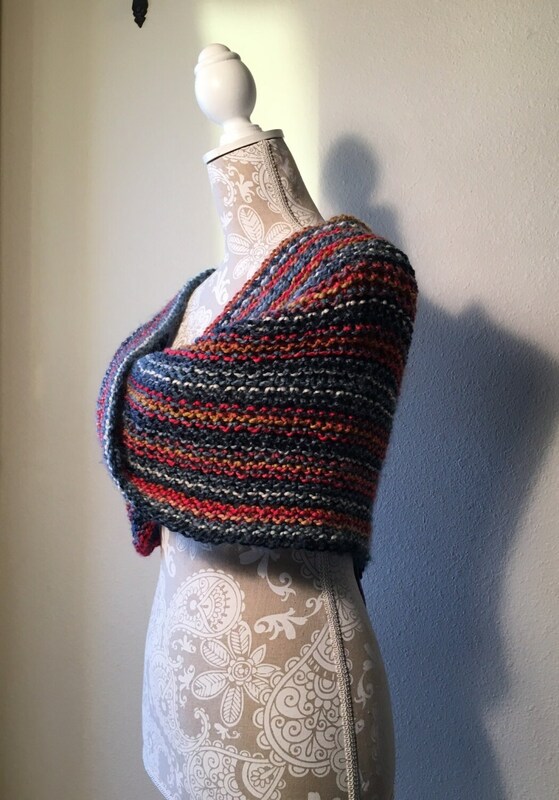 The Twist is knit on a 3/4” gauge infinity loom with a minimum of 92 pegs. 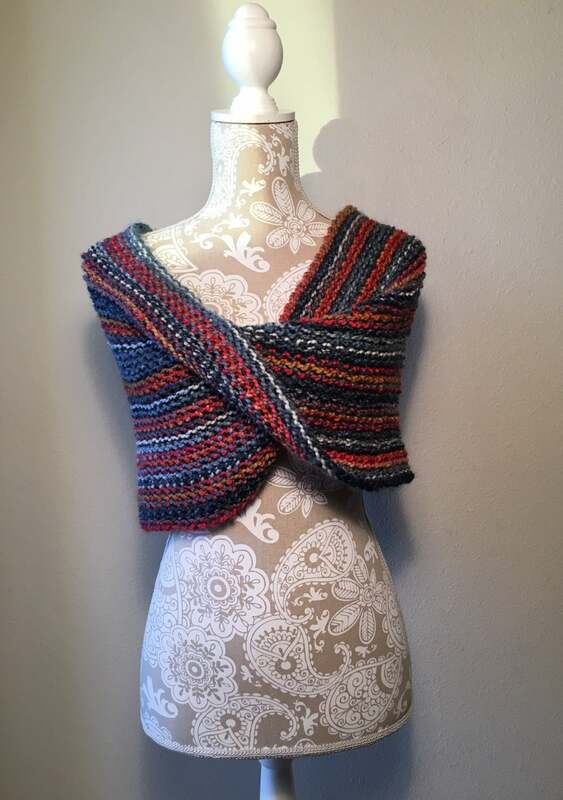 The sample was knit with Yarn Bee’s First Love Yarn in a size Medium and used 285 yards of yarn.